An online RPG game set in a high fantasy world. It was developed by Cryptic - a team popular mainly for City of Heroes and Champions Online. The game is based on the popular Dungeons & Dragons RPG system and the story takes place in the Forgotten Realms universe. Update # 3: In 2014, the third major extension entitled “Curse of Icewind Dale” was published. It allows players to explore Icewind Dale region and fight new monsters and bosses. Moreover, new locations for PvP battles between player fractions have been introduced just as related matchmaking system and leaderboards. Other new features include new PvE and PvP campaigns and powerful items. Update # 2: December 5, 2013. The developer released the second free expansion pack, i.e. “Shadowmantle”. This time it offers a huge building called Dread Ring located in the deep forests of Neverwinter. Players can explore the area, fight the army lead by Valindra Shadowmantle and even her in an epic battle. “Shadowmantle” also features a new class – the Archer and new items to collect, artifacts and paths leading to mastery. Update # 1 August 22, 2013. The first expansion entitled “Fury of the Feywild” was released. It introduced a new location, i.e. enchanted forest Sharandar you explore with the help of Sun or Moon elves. Moreover, new weapons, items, rewards and enemies were offered. Neverwinter MMORPG focuses on the cooperative aspect. The game created by Cryptic, a studio mainly known of “City of Heroes” and “Champions Online”, is based on the 4th edition of Dungeons & Dragons. 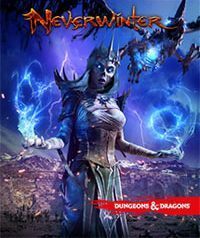 The game takes place in a universe created for the purpose of the original Forgotten Realms setting, in Neverwinter, one hundred years after a magic plague completely changed the entire continent. The old empires were lost, most of the cities ruined or ruled by the hordes of monsters of all kinds. Neverwinter survived the cataclysm. Peace lasted for 75 years, until the eruption of a nearby volcano. The disaster devastated the whole city while in one of its districts a crack in a ground appeared through which dark creatures came in. Moreover, during the events more common creatures such as kobolds entered the city. When the game starts the situation in Neverwinter is rather stable due to the intervention of Lord Neverember of Waterdeep. He arrived with his army to help the city’s citizens and appointed himself Lord Protector of the city. He calls all the adventurers and heroes to help him rebuild the city’s former glory (and get its crown eventually). Nevertheless, dark forces plan to thwart his dream. Neverwinter does not offer one large virtual world; it is a mix of MMO elements and more traditional action-RPG online-oriented cooperation. Safe areas of the city are open to all players. You can find there guild halls, shops and banks, while hundreds of players wander around the streets. However, the adventure is instantiated. Individual quests are similar to those known from traditional RPG titles and they offer combat, exploration, side quests and expanded storyline. Group must always include five heroes and if there are no real players, AI comes in. When creating their characters, players are offered five classes to choose from (Warrior, Wizard, Rogue, Cleric and Hunter) and classic genre races such as humans, elves and dwarves. The developers offer complex system for appearance customization so that everyone can create their virtual alter ego. Combat system is based on the principles of the original paper with statistics and skills playing the main role. At the same time, the combat includes action elements. Therefore, maneuvering on the battlefield is not that easy, in particular without automatic attack. You need to fire up each blow and spell manually and avoid being hit if you wish to stay alive. Not to mention that you must search for a position that gives you a tactical advantage. Another feature is powerful and yet easy to use tool for creating your own adventures. The editor does not resemble typical modder tool as it is much simpler and its use does not require any programming skills. It rather reflects the role of the Dungeon Master than tools used to create modern products. However, despite its simplicity, the editor offers tremendous flexibility and enables creating any adventure that comes up to your mind.